You are here: Home » Uncategorized » Meet Simon’s MS Class of 2018! Meet Simon’s MS Class of 2018! 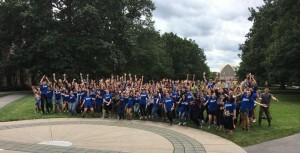 Classes officially began for students in our four MS programs – Accountancy, Business Analytics, Finance, and Marketing Analytics – on July 31, but before that the Class of 2018 got acquainted with one another at orientation. 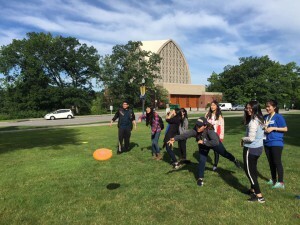 The students went on a bus tour around the City of Rochester, visited the Strong National Museum of Play, had a happy hour at Artisan Works, and competed in an “Amazing Race” of team building activities on the quad. In addition, before coming to Simon students in this cohort have interned or worked for the following companies: Accenture, Anheuser-Busch InBev, Bank of America Merrill Lynch, BMW Group, Citibank, Deloitte, EY, General Electric, HSBC Group, McKinsey & Company, Nestlé, Nielsen, PricewaterhouseCoopers LLP, Prudential Financial, Starcom Media, and Target, among others. We are excited to see where Simon takes our new students, and we hope that you will be among next year’s incoming class! Get started by applying now. If you’re interested in more information our specialized master’s programs, attend our MS programs information session webinar on Wednesday, Aug. 16 at 9 a.m. EDT. If you have questions about the admissions process or about our Full-Time MS programs, please contact the Admissions Office at 585.275.3533 or admissions@simon.rochester.edu. 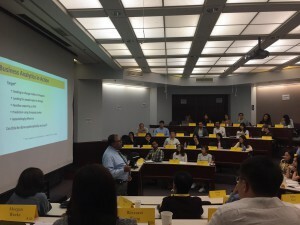 Meet Simon’s MBA Class of 2019!